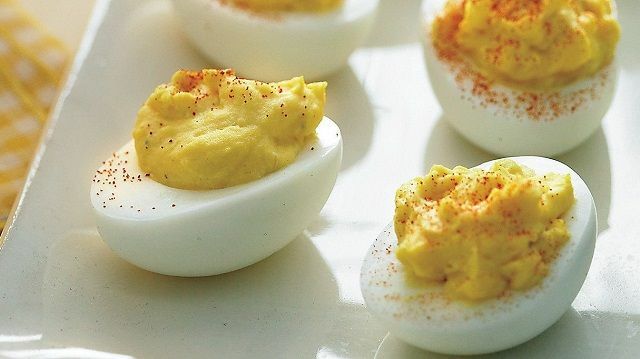 No family celebration or picnic is complete without stuffed or deviled eggs. 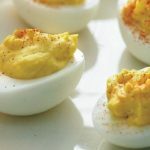 Although an easy recipe, these stuffed eggs are delicious and simple to create for big gatherings. Heat the oil / ghee in a frying pan and fry the onions till golden. Add the meat, salt, chili, coriander, ginger, tomato paste and lemon juice and fry for about 5 minutes. Peel the shell and cut the hard boiled eggs into half length ways. Take out the yolks and add to the frying mixture. Cook for another 5 minutes and remove from the heat and allow to cool. Stir the corn flour into the beaten egg, making a batter. Place the breadcrumbs on a flat dish. Fill the meat mixture into the yolk cavity ( hole from where yolk is separated) of each egg half, cover with another half to make complete egg shapes. Dip the stuffed egg into the egg and corn flour batter and roll over the breadcrumbs. Heat oil in a kadhai / deep-frying pan over a moderate heat and fry the stuffed eggs until golden all over. 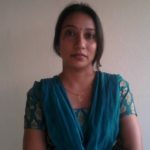 Serve garnished with fried liver, coriander leaves and with chutney or sauce.